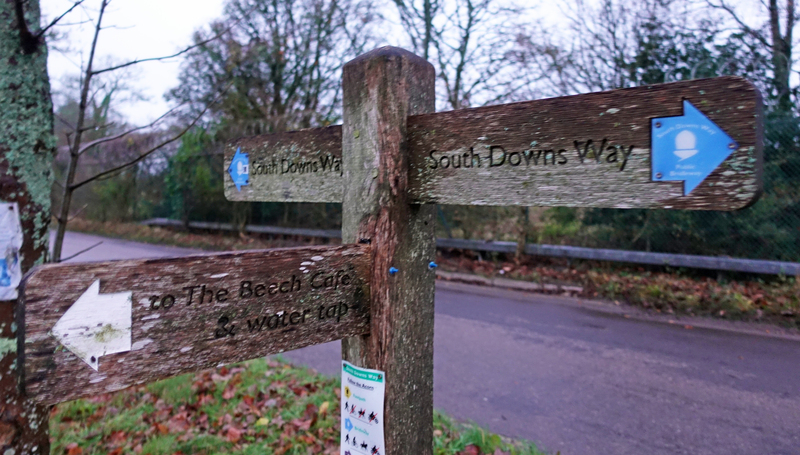 Three Points of the Compass walked the South Downs Way in winter 2018. I wrote a brief blog on that walk soon after. This piece covers my water sources on that five day trip of a tad over a hundred miles. I carried clean and dirty water bladders and a water filter, also a 0.85lt. bottle for drinking from during the day. Three Points of the Compass travelled to the start of the South Downs Way at Winchester by train. The blue cuben bag in the side pocket of my Mariposa is my hydration kit comprising 2lt Evernew bladder for clean water, 2lt HydraPak Seeker bladder for unfiltered and a Katadyn BeFree filter. I also carried an 850ml Smartwater bottle for drinking ‘on the go’. I was fortunate to enjoy fairly good weather for most of the walk. It was often simply cool and bright. However, it was a late in the year walk and I also experienced occasional thick mist, driving rain and sleet on the final day and cold frosty nights. Snow blanketed the hills two days after I finished. Some of the water taps provided along the trail are turned off for the winter months and I did find a couple that were not working. Other than that, I had absolutely no problem in keeping myself well hydrated both during the day and for night halts. 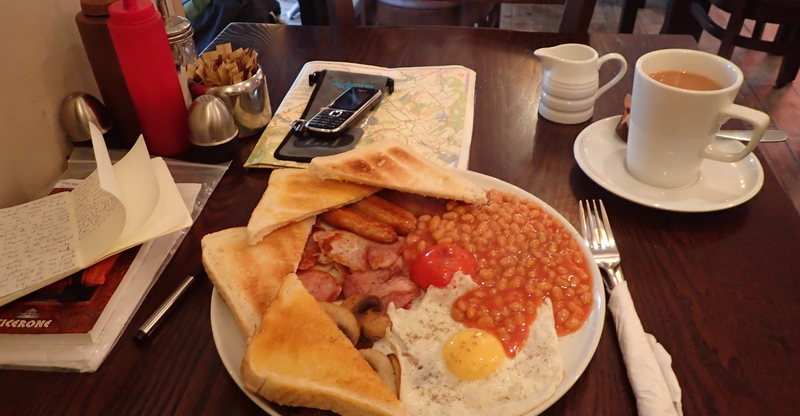 I set off early morning from a Winchester hotel where I had spent the night. 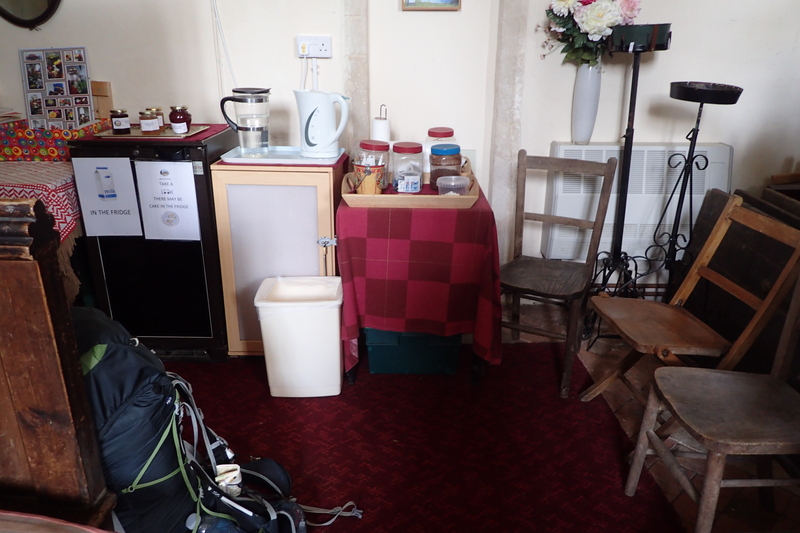 I had a couple of mugs of tea prior to leaving and carried one and a half litres of water from the get go. My first halt to refill was at a tap near Keepers Cottage, SU 537 288. This is immediately beside the path and was specifically installed with cyclists in mind and also has a pump etc. This is a popular trail for cyclists and some times of the year can see as many cyclists as walkers. However, at this time of year I saw few hikers and only a handful of cyclists and horse riders. It is advisable to take any opportunity to replenish with at least a bottle of water if a tap is passed as some sources are not only seasonal but could be vandalised, under repair or simply no longer in commission. My first day was a little over twenty miles so I felt I had earned yet another halt in the afternoon when I passed the fly fishing ponds at Meon Springs. The fishing lodge (SU 655 215) at Whitewool Farm is often open as the fishery offices are situated inside, alongside a tackle store and ‘help yourself’ to hot drinks facility. Snacks were also available but I didn’t need anything as I was carrying just about all the food supplies I required for the whole trail. Instead, a mug of tea (£1) was very welcome. A tap was available here if it had been simply water I was after. 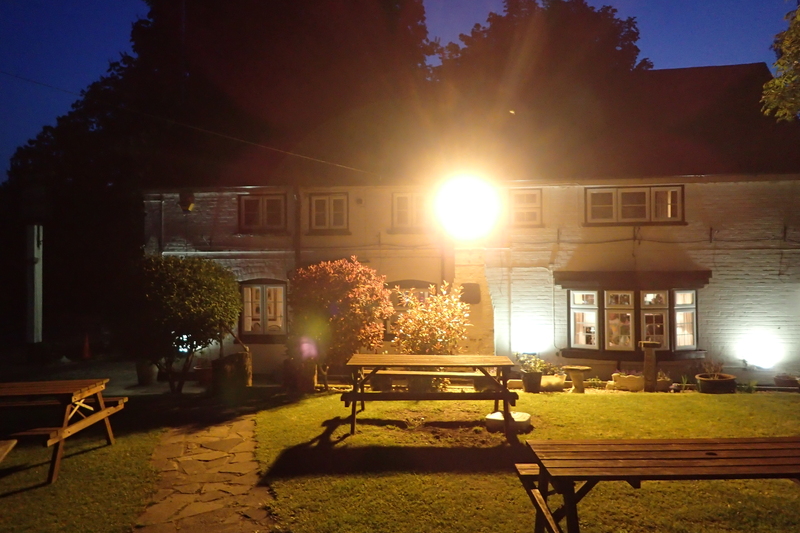 My first nights halt was at the Sustainability Centre, Wetherdown Lodge (SU 676 190). 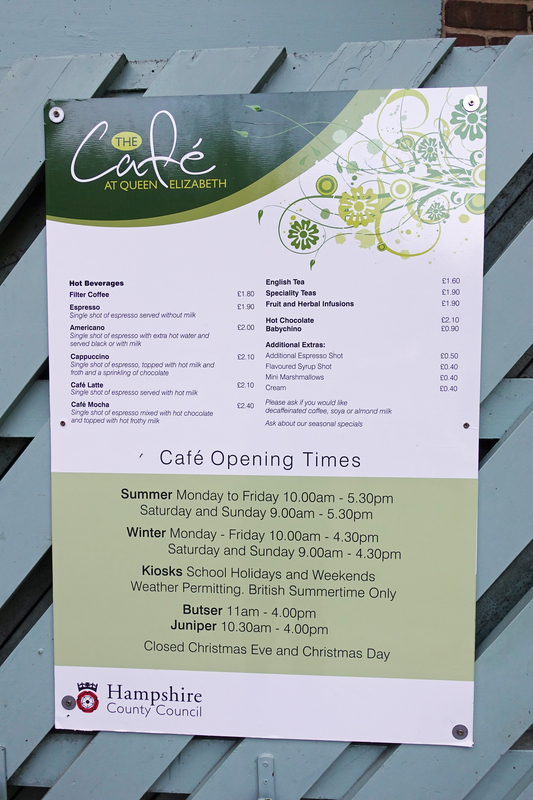 This is a Friends of Nature Eco centre and due to my early away from Winchester in the morning, I arrived around 14.40, so not only had time to get the tent up in the lower fields, but also managed to get to the onsite Beech Cafe five minutes before it closed for a welcome pint. At this time of the year, night comes early and my evening meal of lentil curry was obviously eaten in the dark. Day Two was a twenty four mile hike, so I rose early and simple breakfast and 500ml mug of tea saw me on my way while it was still dark. I had hoped for second breakfast at the Queen Elizabeth Country Park visitor centre (SU 718 185) but arrived to early and wasn’t prepared to sit around for a couple of hours waiting for it to open. 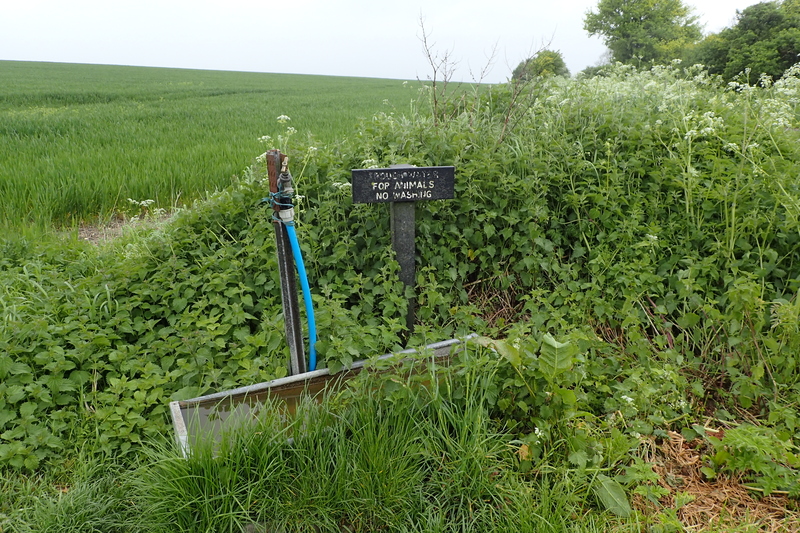 I was carrying just under a litre of water with me and this was sufficient until a water tap opposite Manor Farm at a minor crossroads of tracks at Cocking (SU 879 166). 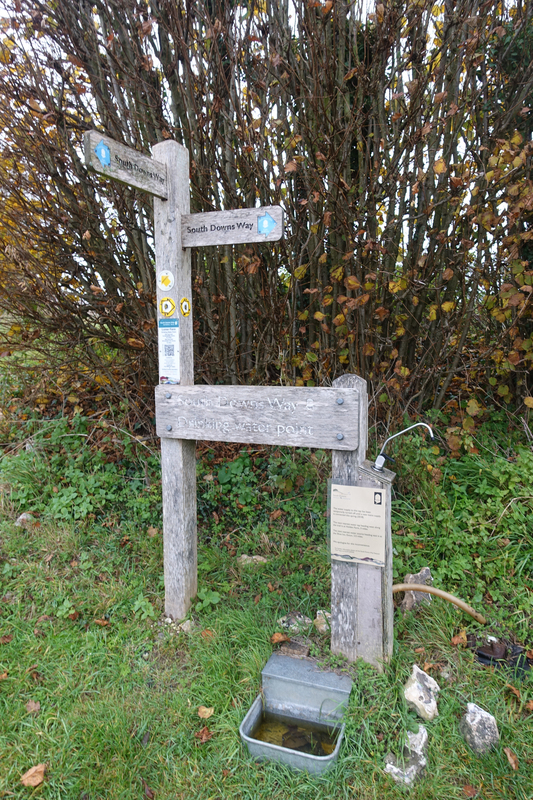 Some of the taps on the South Downs Way have been placed there by cycling or walking organisations, others have been sited in memory of a much loved individual. The tap at Cocking was sited in memory of 14 year old Peter Wren. Any wise hiker not only tops up with water at these sources but also drinks as much as he can before moving on. I had doubts on finding another source before this day’s halt so took opportunity to carry another two litres away from here in addition to my 850ml bottle. I reached this tap a little after nine in the morning and this refill saw me well until another, six miles on, in Glazeby Lane, near a road crossing south of Washington (118 119). As I mentioned earlier, there are quite a few water sources on this trail and if one if unavailable for one reason or another, it is usually not too far to another. 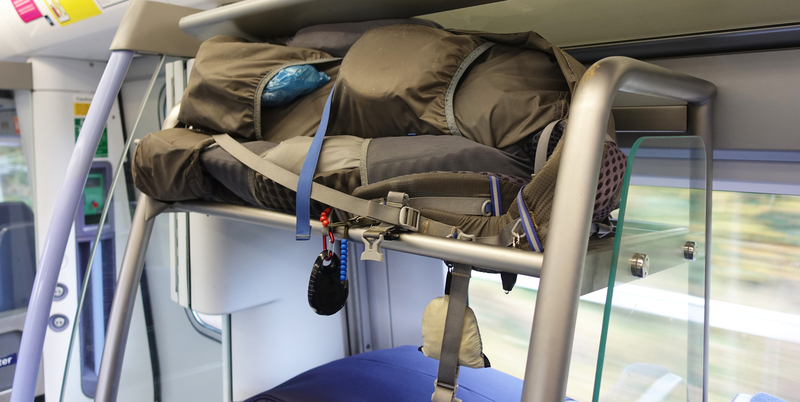 It is only if wild camping that a little care is required to ensure that enough is available for a nights halt. 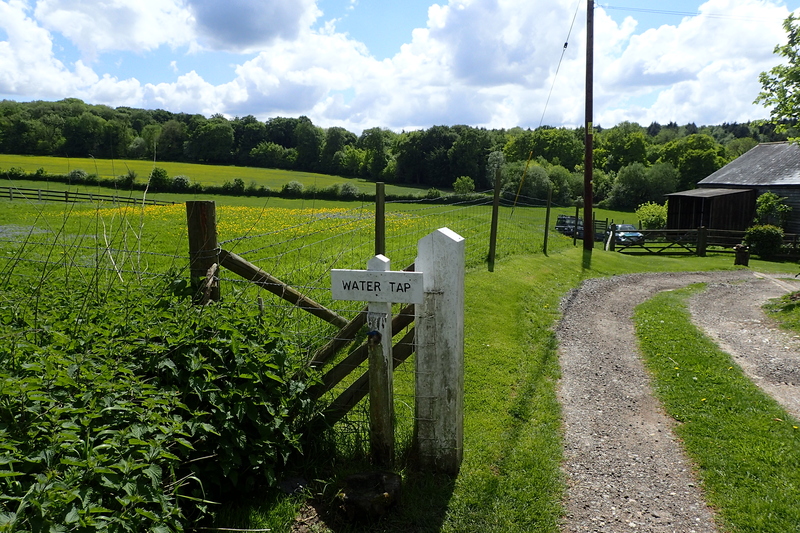 While I had plenty of water with me and it was only a relatively short hike to my days end, I also drank a litre at the tap provided by the Society of Sussex Downsmen at Botolphs (TQ 197 093). Day Three was a 19.5 mile trek to the YHA at Truleigh Hill. I knew that I couldn’t stay in the hostel at it was on exclusive hire however the warden had kindly agreed to my camping in a field opposite. Not only did I also have use of the campers w/c adjacent to the building, but there is also a tap outside for passing hikers (TQ 220 106). 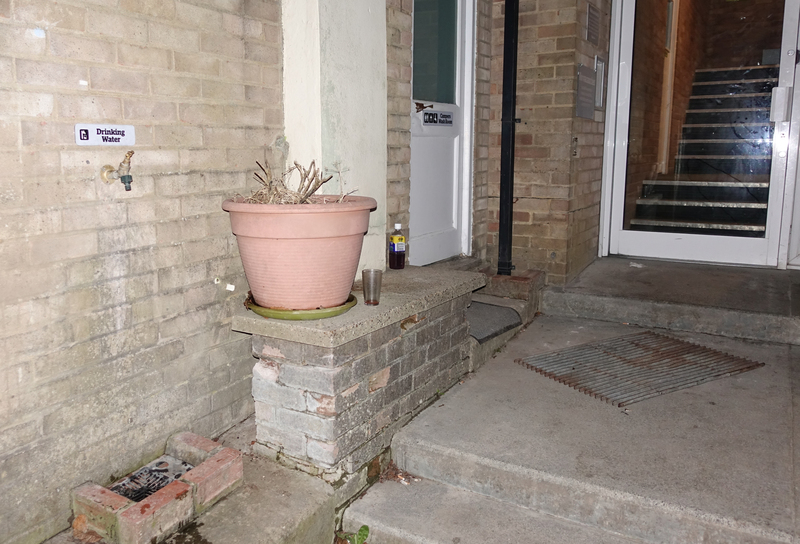 It was another cold night and I was pleased to have ready access to unlimited water as I rehydrated and kept myself warm with a succession of oxo, tea and hot chocolate drinks. Day Four was just over twenty one miles to the South Downs YHA just three miles from Lewes. Not only did I have a dorm room booked for the night, but I knew I also had a couple of decent halts on this section. 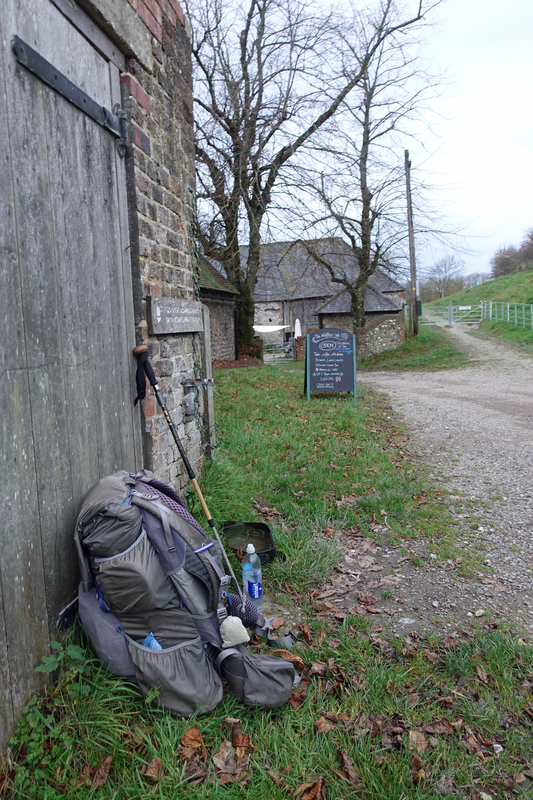 Setting off with a full water bottle, the first halt was at the tap in a wall at Saddlescombe Farm (TQ 271 114). I had no real need to stop here as it was only another fifty minutes walk to the ‘Pilgrims Church’ at Pyecombe. 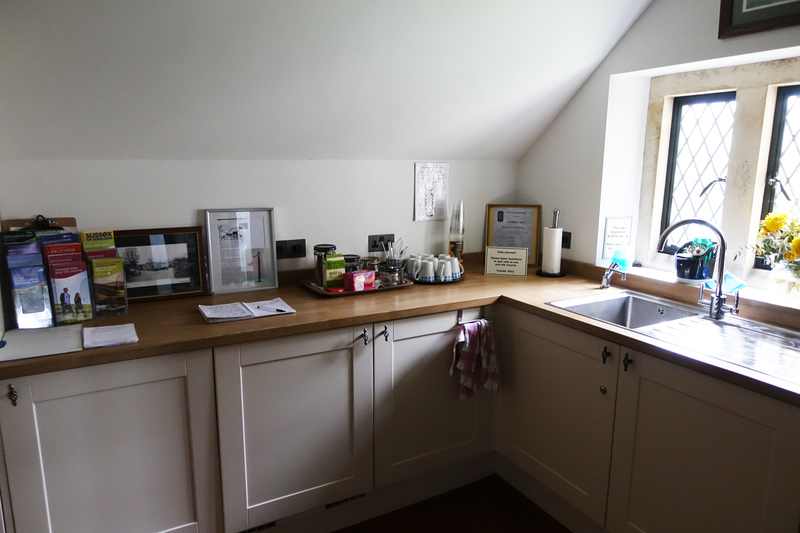 With the aid of grant money, the parishioners here have provided an excellent extension to the church with not only w/c, but also tea and coffee making facilities for walkers. Just be sure to leave a donation. I spent some time at the church wandering around and looking at items of interest, there is much to see here and it makes a great rest point. Walking on, I took time to explore the slightly off trail Jack and Jill windmills but my next halt for sustenance was a late lunch once I reached the A27. The trail turns right here to pass Housedean Farm prior to crossing the road via a bridge. 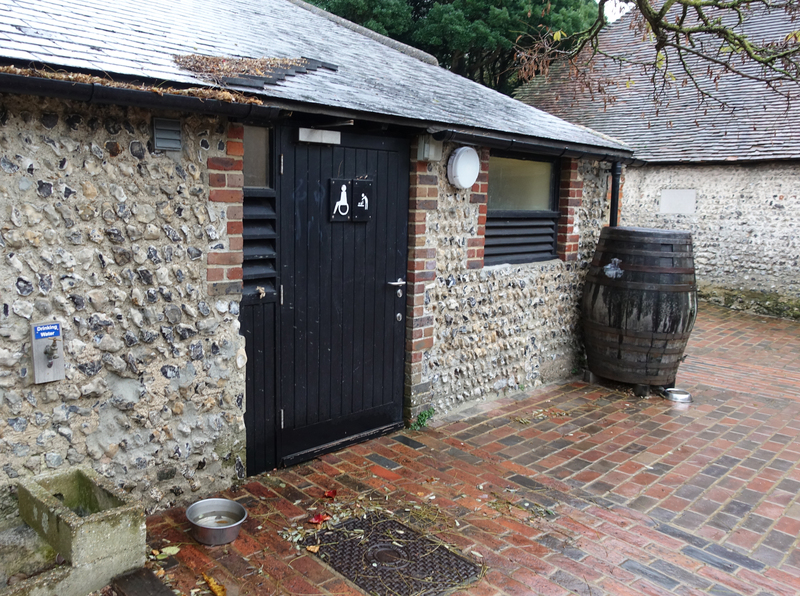 In the wall of the farm is a walkers tap (TQ 368 092). However, a more favourable option is to turn left instead and walk down to the truckers stop where there is often a sandwich wagon. 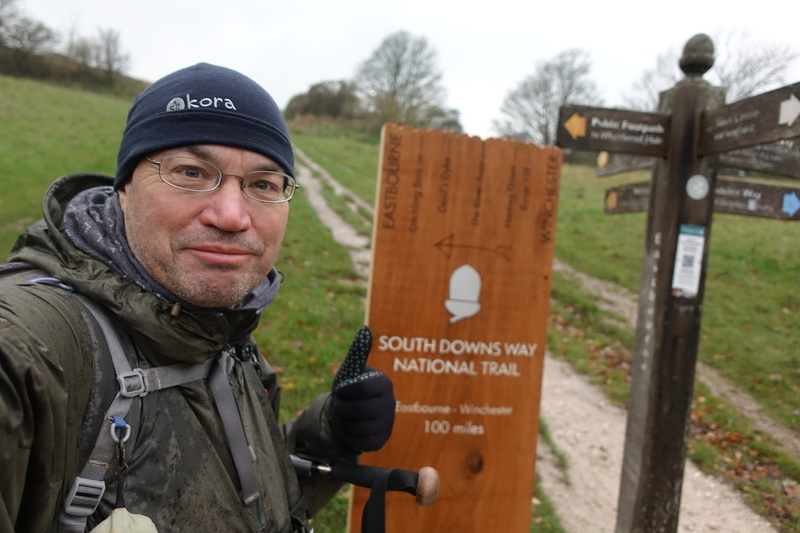 Back on trail, I crossed the road and carried on, in deteriorating weather, back up on to the Downs. 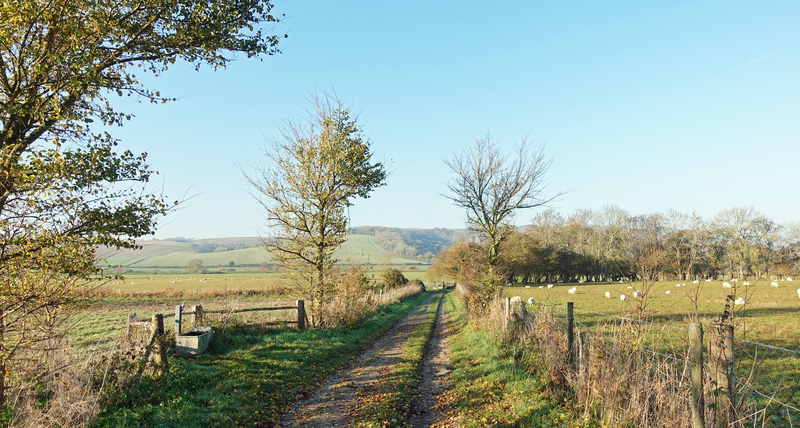 This is an arid stretch, with a lot of large agricultural fields however it was only a three hour walk to my nights halt at the relatively new and quite large hostel of YHA South Downs. Only a kilometre before my days end, I took time out to explore the fascinating interior of Southease Church. I had no need to avail myself of the working tap in the wall of the church ( TQ 423 052). Reaching the YHA around 16.30, I booked in and was shown to my shared dormitory room. Having showered, changed into clean clothes and rested, I declined from cooking yet another lentil curry in their campers kitchen and chose instead to eat in the hostel’s Courtyard Cafe. Hydration here in the form of a few decent beers alongside my evening meal of pizza. After a nights decent snoring on the part of the two other room occupants, I rose at an early hour ready for my final day on trail. I had the usual mug of tea in the campers kitchen alongside a simple breakfast as second breakfast was only a few miles away. It was just under 22 miles to my day’s end halt at YHA Eastbourne, via the walk into town and back out again, finishing at the town pier rather than the official halt at the towns western edge. I don’t think that the sad little start/finish post is a fitting end and was to happily continue past it further down the coast to the impressive Victorian Pier. Prior to that I had a day’s walk to complete however. 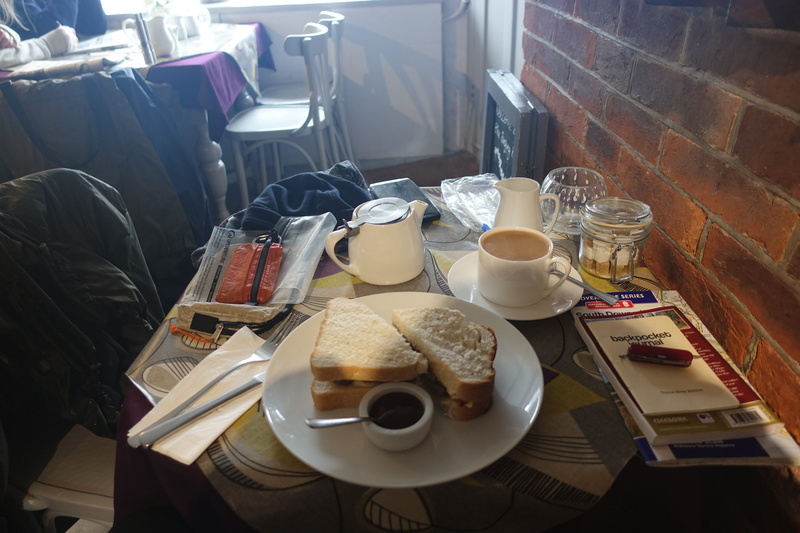 It was raining hard when I set off from YHA South Downs and a halt at the Singing Kettle Tearoom (519 031) in Alfriston three hours later proffered an opportunity to dry out on the outside while I put a pot of tea and a sausage sandwich on the inside. The proprietor filled my water bottle prior to my leaving and this did me until I pulled into the Seven Sisters visitor centre (TV 518 995) overlooking the spectacular Cuckmere River meanders. 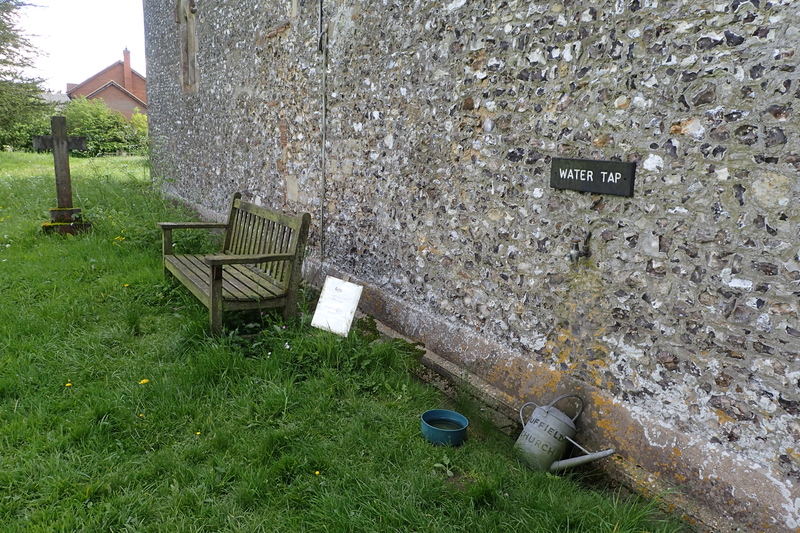 Most visitor centres have a working tap somewhere outside. While many are intended to provide water for dogs, a tap is just as welcome to the thirsty hiker. 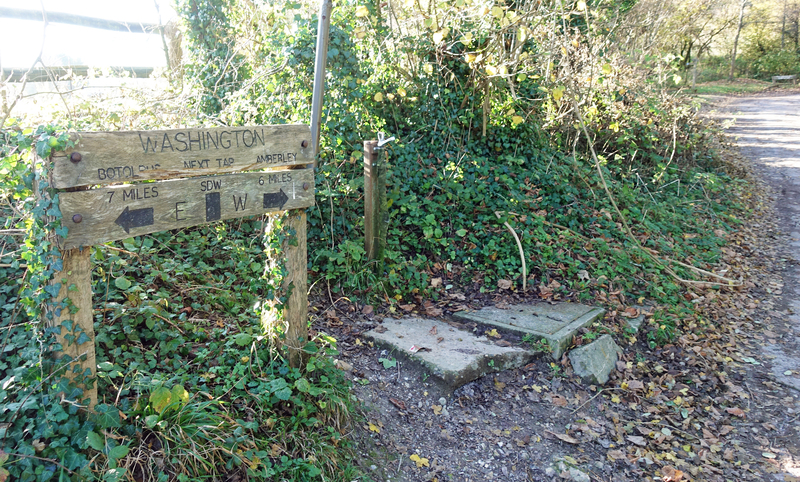 It had only taken me around an hour and a half to reach here after leaving Alfriston and it was another ninety minutes jaunt along the lovely rolling Seven Sisters before I reached my final tap (TV 553 960) on the South Downs Way. 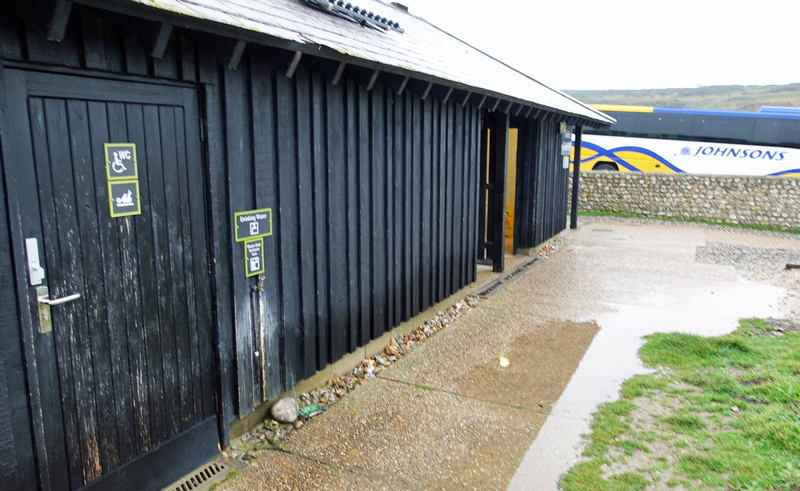 This was at Birling Gap, adjacent to the Coach Park. I was on the home stretch now and I had no need to refill my bottle for the rest of my walk as it was only another two hours walk to Eastbourne Pier. After which it was the long haul back out of town where, rather than travel home that night, I was stopping for the night at Eastbourne YHA. And that was it. 108.11 miles since I left Winchester. I had absolutely no problem in finding plenty of water or alternative drinks along its entire distance. There are a lot more options than I have shown above. 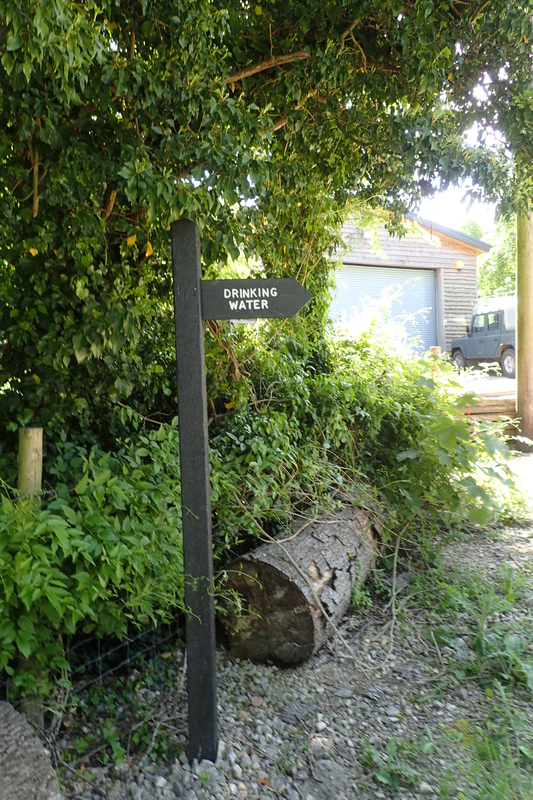 There are other farms and pubs that can also provide water either directly on the trail, or close by. The above was correct for the dates of my walk- 16th – 20th November 2018. As it turned out, I had no need to use my water filter, not the emergency sterilisation tablets that I carry in my ditty bag. There was good potable water readily available on every day. 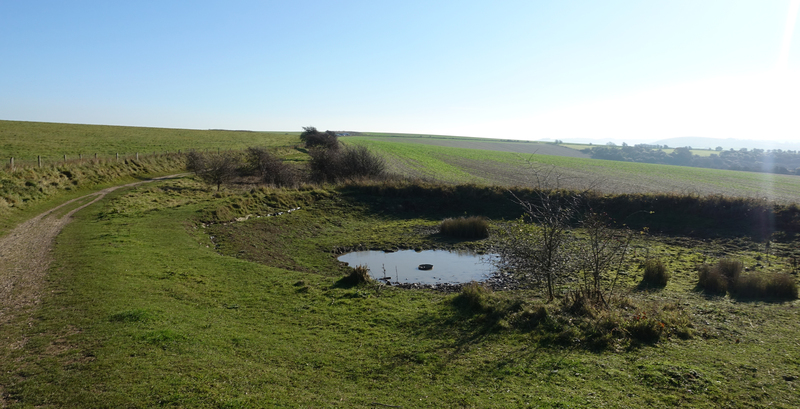 There is a downloadable guide to water sources on the South Downs Way via the National Trails website. But it doesn’t appear to have been updated in some time and fails to list quite a few points. Their mapping system is useful as you can list the points of most interest to you which can include water points. An online cyclists’ guide has a similar list, equally wanting in places. However it includes some useful images. 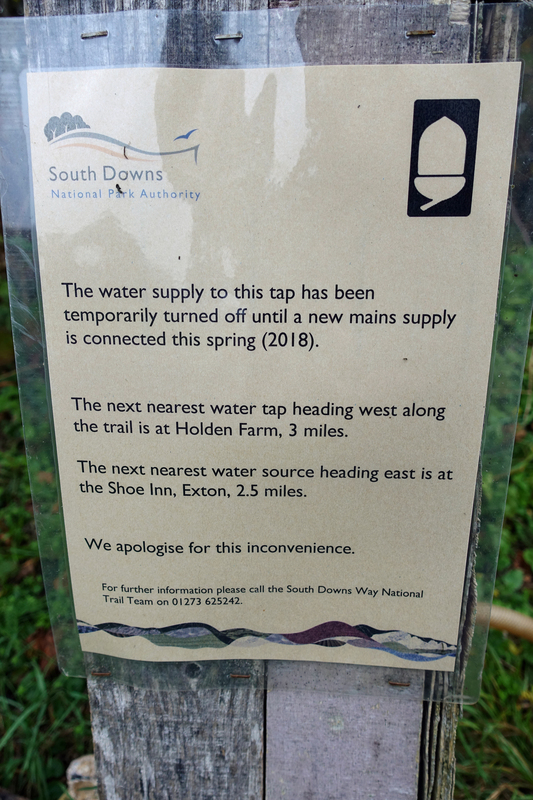 This entry was posted in Hydration, Planning, Uncategorized and tagged camping, filter, Hydration, Knowledge, South Downs Way, water, YHA on March 10, 2019 by Jools. 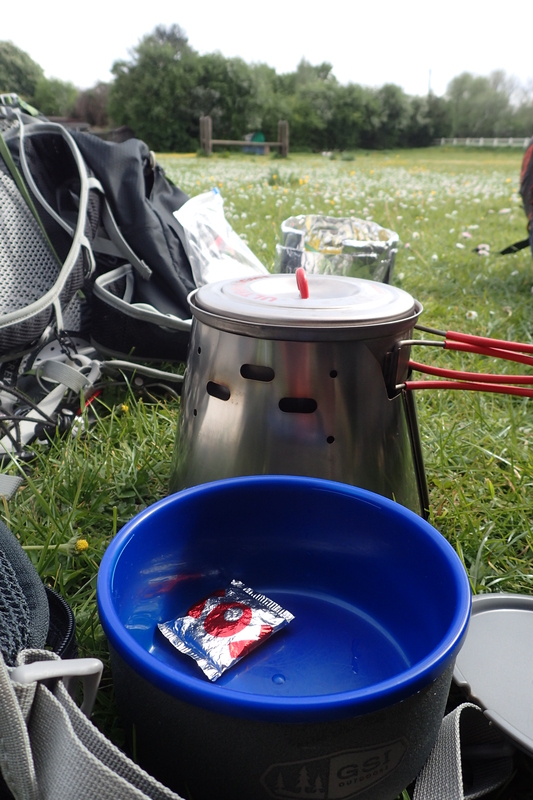 Those who read an earlier post will have noted that I took a water filter with me on my recent six day backpacking trip along The Ridgeway. 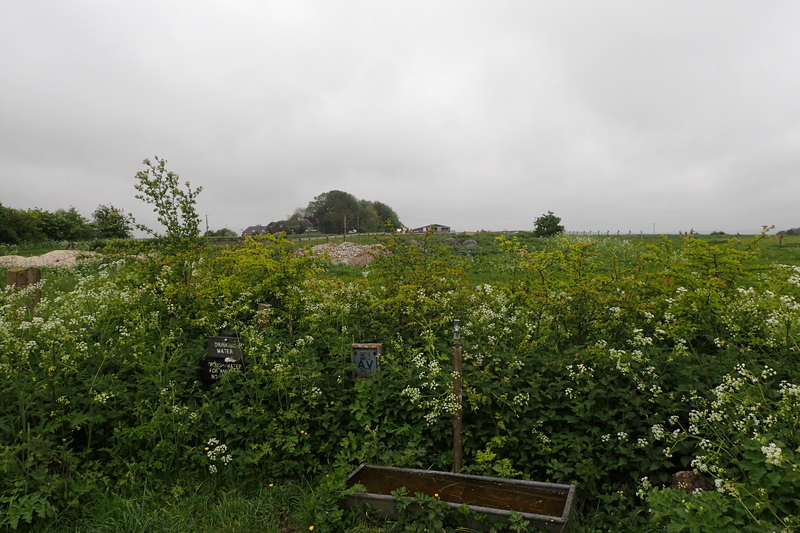 The path itself is some 87 miles but I chose to start at Avebury, adding a handful of miles to my total. That, combined with a couple of short side-trails to overnight stops, meant that I covered 106 miles in total. The Ridgeway is not an exclusively ridge walk. For much of its distance it traverses the hills above the villages and towns situated at the spring line on lower contours. It can be quite dry on the trail yet water intake has to be maintained by the hiker throughout. So, did I find a water filter of use? Simply put- no. Even without finding it necessary to leave the trail specifically to seek out water, I did not need to use a filter at all. If not abundant, I certainly found that with a little planning I could carry all the water that I required and kept well hydrated throughout. This was partly achievable because almost all of my overnight halts were at recognised sites. The only night I wild-camped, I took an extra litre with me for that night. I usually drank at least a litre of water, sometimes as much as one and a half, each night. This would mostly be in liquid form, water, tea or my favoured OXO. Some water was used to rehydrate meals. All of the water points that I located on the trail were sign-posted, were working and provided good, fresh, cold water. I started out on the walk carrying 1900ml of water with me in two 850ml Smartwater bottles. This was enough to see me through my short half day to my first halt at a farm near Ogbourne St. George. There is supposed to be a water tap available at Southend (SU198734), just prior to the village, but I failed to locate it. I camped in the horse paddock of Fox Lynch, filling up for that evening and the following day from a tap in the farm yard. If stopping for water there, do ask first as not all of the taps provide potable water. Day two saw me set off with 1900ml. I refilled one empty bottle (850ml) at a tap on the path near farm buildings at Idstone Hill (SU263835). This day was especially wet compared to my first day. When it is raining it can be difficult to drink sufficient fluids and I was careful to keep a high intake. 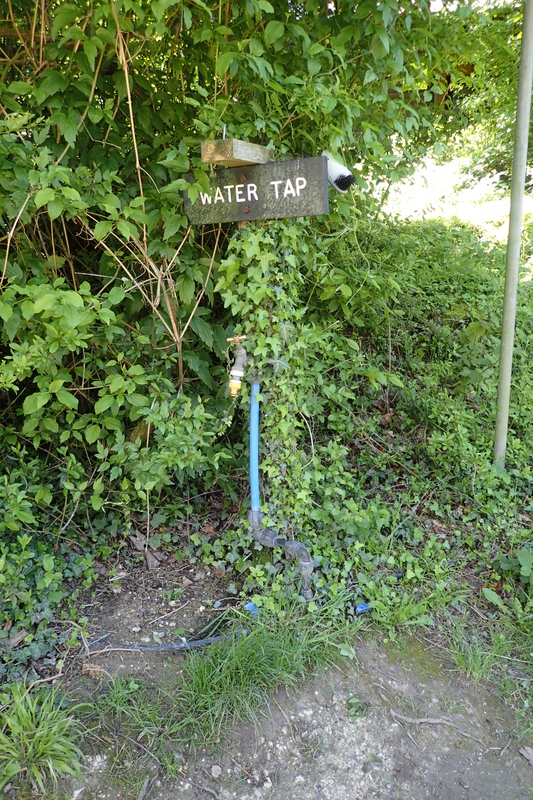 Further along there is another tap near Hill Farm (SU338854). Again, I took the opportunity to not only drink a bottle of water (850ml) but fill up as well. This saw me through to my days end at Court Hill Centre (SU394844) south of Wantage where water is readily available to those staying, or for visitors on request. I set off on day three, again loaded with 1900ml of water though I could have carried less as the next ‘on path’ tap is apparently near Ilsley Barn Farm. I say apparently as I walked past the tap, or signage, or whatever there was, without seeing it. 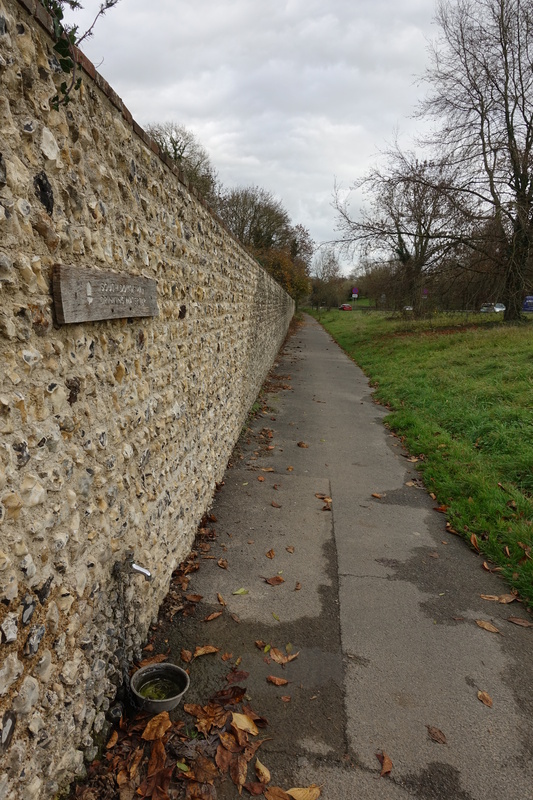 Fortunately this is a fairly short stretch and my two bottles easily saw me to Streatley where there are many town facilities, including the YHA very near to trail. 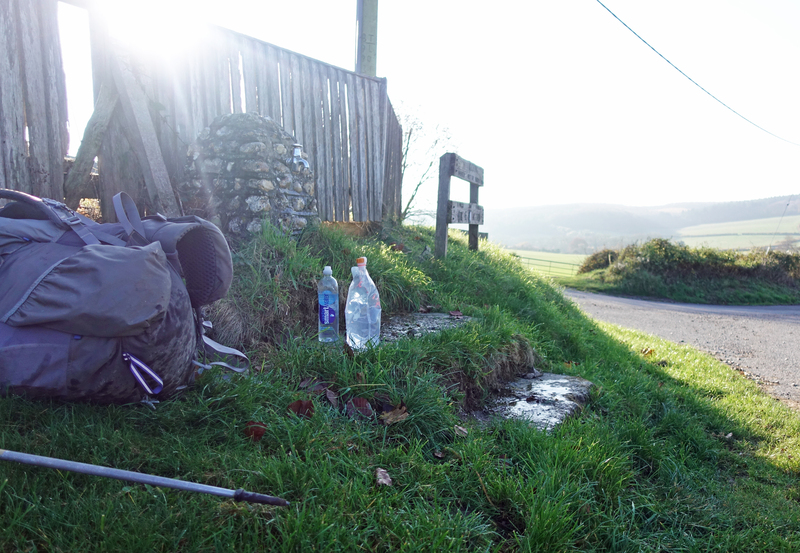 Day four, needless to say that I was well hydrated as I set off and also carrying water. A full load is not required as Nuffield is well provisioned. There is a very welcome tap (SU660871) at a Crossing Point only a little way before entering the village. However possibly the most welcome point is that at Holy Trinity Church in Nuffield (SU667873). 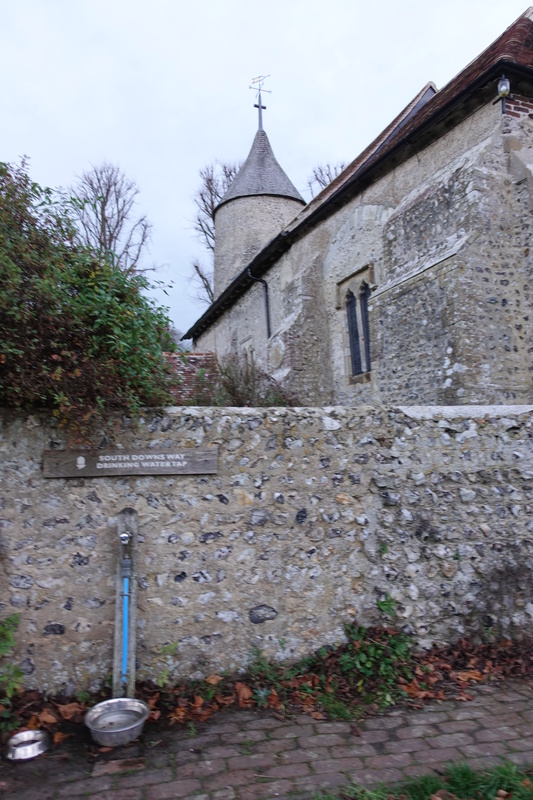 There is a water tap in the exterior wall of the church but if you are fortunate, as I was, then you can enjoy the thoughtful provision of the local parishioners. 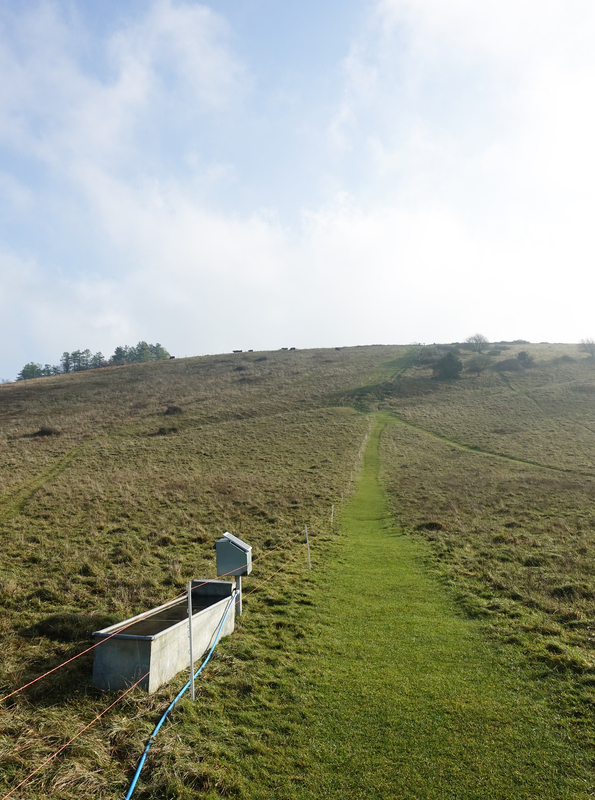 I stayed at a campsite that night- at White Mark Farm, two hundred metres or so from the path (SU697939). 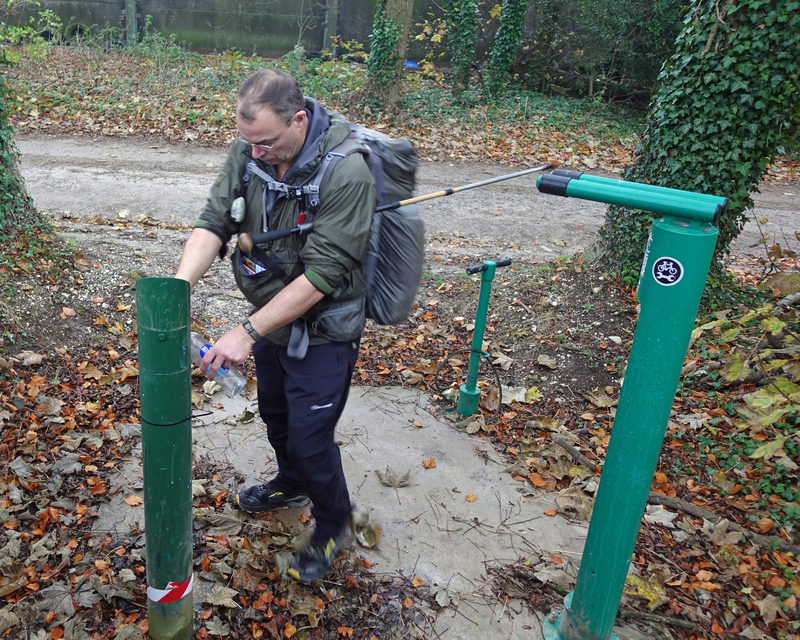 There is a water tap provided for walkers to the side of the entrance road to the site. 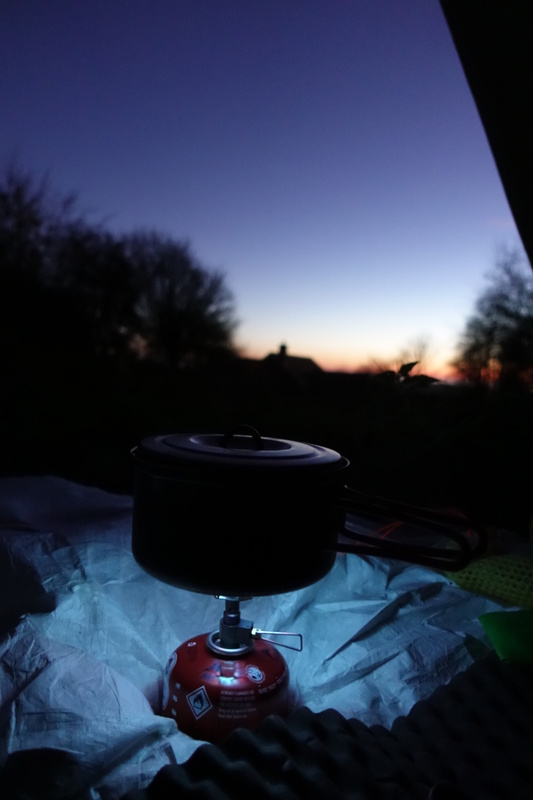 The following day, day five, I was not expecting to pass any water taps and knew I had a wild camp to provide for, so carried an extra litre when I set off. 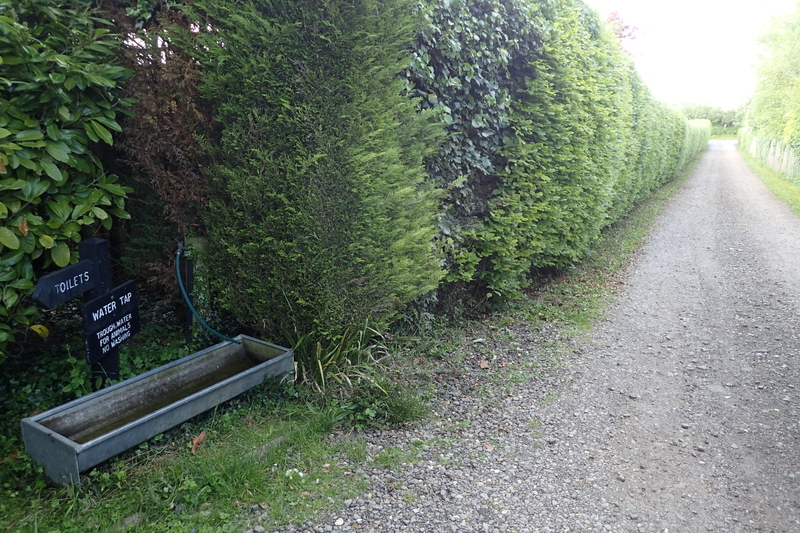 Needlessly as I came across an unexpected water tap at (SU727976). This tap is not shown on the Harvey route map but is mentioned in the Cicerone guide. Again, I took the opportunity to drink a full bottles worth (850ml) before filling up again and walking on. Obviously heavily laden but very necessary. There are many opportunities to wild camp on The Ridgeway, none are officially sanctioned and the obvious rules apply- arrive late, stay discreet, set up late, leave early, leave no trace. I stayed that night at a pleasant location with a good view over the Vale of Aylesbury. A litre of water was plenty for my needs that evening but left little for the following morning. 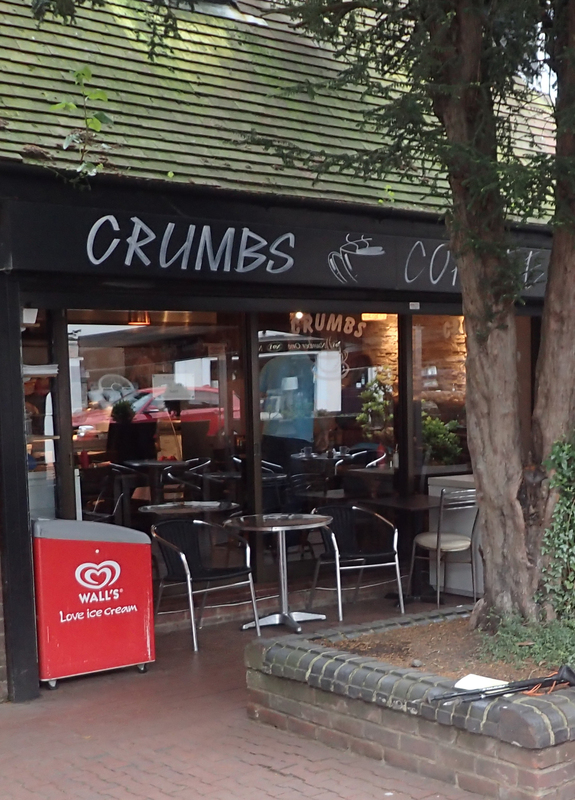 The following day, day six (my final day on the trail) I had an early descent from height down into the nearby market town of Wendover to partake of a thoroughly unhealthy but, oh, so welcome, Full English Breakfast (and two mugs of tea) at Crumbs Sandwich Bar. While there, I asked them to fill up water bottles for me, thereby preparing me for my final day. This meant I was well provisioned for my remaining miles. 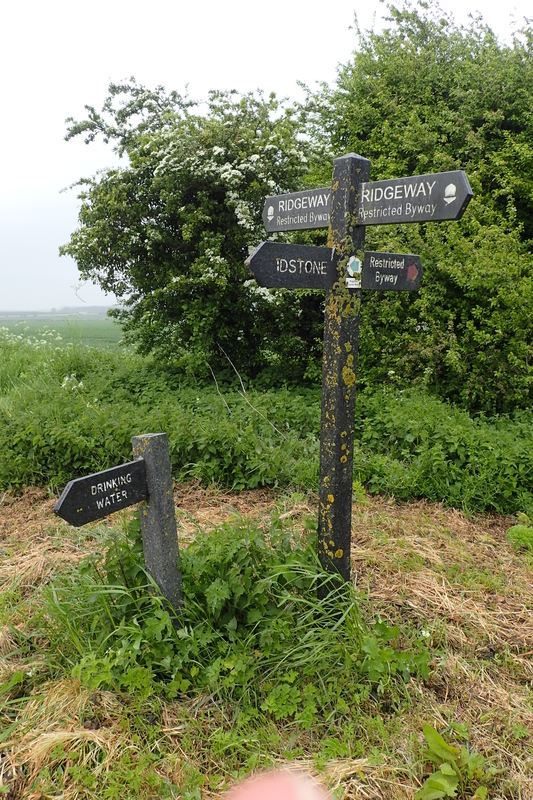 I completed The Ridgeway a few minutes after two in the afternoon on day six and only had a two mile walk to Town Farm where I was camping that night. 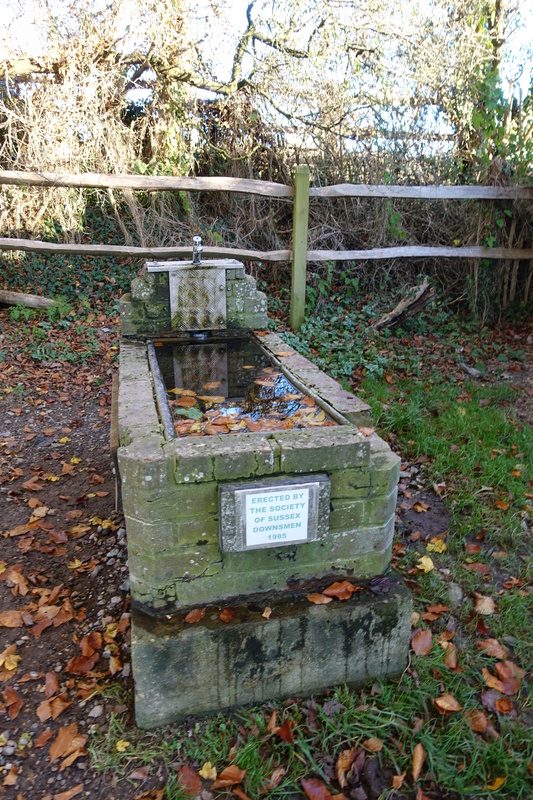 Water taps (SP949165) are situated some distance from the entrance to the site. Beyond a hot OXO at the end of each day (400ml), water for rehydrating meals and breakfast tea (400ml) with a home-mix breakfast, further liquid intake consisted of the odd pint or two in pubs at Ogbourne St. George, Streatley, Watlington and Ivinghoe Aston. The above is accurate to the month when written- May 2016. Circumstances are likely to alter over time and there is already a seasonal provision at some locations. This entry was posted in Uncategorized and tagged camping, Hydration, navigation, path, Ridgeway, Salt, water on May 30, 2016 by Jools.